A fast-moving live demonstration of an enterprise security breach followed by what you can do about at the enterprise all the way down to the personal level. Keatron Evans, a highly regarded CyberSecurity expert and practitioner, is the presenter. After the initial demonstration, a Q & A will be held which in the past has been the most celebrated part of a Keatron presentation. The recording will not be available afterward, you must attend. What Do the Biggest Breaches Have In Common? What You Will See Today! How company servers are exploited. Browser exploits - How you get hacked at hotels, Starbucks or the airport. Walkthrough of sanitized penetration test report. 5 things you can do to protect yourself at home and at work from most cyber-attacks. The most common ways organizations are compromised. How to become a CyberSecurity professional. Who the attackers/hackers/threat actors are. Answers and if possible demonstrations. 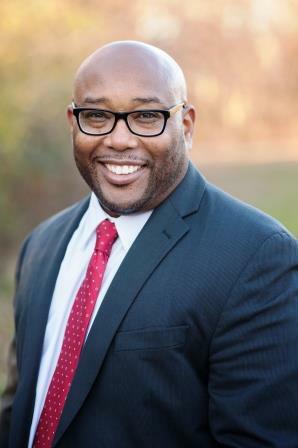 About Instructor: Keatron Evans is the Managing Partner at KM Cyber Security, LLC and responsible for global information security consulting business which includes penetration testing, incident response management/consulting, digital forensics, and training. Keatron is also a Senior Security Advisor at Savvius, and a top-rated instructor for ISACA a global association of 140,000 professionals in 180 countries that helps business and IT leaders maximize value and manage risk related to information and technology. He is also one of the authors of Chained Exploits: Advancing Hacking Attacks from Start to Finish, a textbook still used by U.S. Government Security Agencies. Business901 offers a unique perspective in Digital Marketing, Market Research, and Business Development. Joe Dager, the principal driver, has taken his own companies from 0 to 5 million, another from 1.6 to 12 million and helped over 60 others primarily in the Business Development space. Joe is a Lean practitioner that specializes in Service Design and Sales and Marketing. Most of the recent work has been in SaaS discipline working with organizations in creating and extending opportunities in their marketing space and to onboard customers and external groups such as affiliates, influencers, and re-sellers with a variety of programs. What others say: In the past 20 years, Joe and I have collaborated on many difficult issues. Joe’s ability to combine his expertise with “out of the box” thinking is unsurpassed. He has always delivered quickly, cost effectively and with ingenuity. A brilliant mind that is always a pleasure to work with.” – James R.